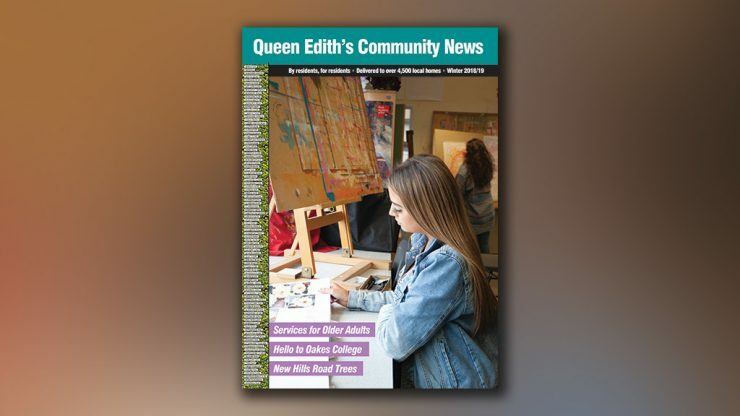 The listing of local health and social services for older adults in the Queen Edith’s area has been put together from some excellent research by the Patient Group of the Queen Edith Medical Practice who have created a directory of activities, day centres, care in the home, health support, home adaptations and much more. Thanks to the team for letting us use their efforts. Find out more and download their published guide here. Provides free information about benefits, housing and community care, as well as home help, cleaning laundry, ironing and gardening. Weekly visitor or telephone call. Contact Dee Potter. Help and support from Addenbrooke’s Hospital for those families whose loved ones have died in the hospital. Short term loans of mobility aids, wheel chairs, commodes and frames. No need for medical referral. Unit C 511, Coldhams Lane, Cambridge. Open Tues, Wed and Fri. 9.15am to 3pm. City Council service offering advice and help in making funeral arrangements. The City Council’s community alarm service installs a pendant alarm in your home which, when pressed, contacts a response centre to notify us that you need help. For people who find it difficult to access public transport. Membership required. Free and confidential face to face debt advice. Appointment required. A safe place to talk any time you like, in your own way. Weekly visit by a student befriender during term time. Charity offering general advice regarding security and fitting security equipment. Brochure of activities for over 50s, listed by ward. The Technology Enabled Care team can help you remain independent in your own home with assistive technology, detectors and telehealthcare equipment. Anyone can refer themselves for an assessment. Equipment loans are free of charge. Safe and Well Visits and home Fire Safety Checks are available to the most vulnerable. Age UK service aims to prevent falls and accidents with a free Personal Assessment, Home Safety Check and arranging small jobs. Advice and assistance to help repair, improve, maintain or adapt your home to meet changing needs. Online directory of a wide range of activities such as volunteering, learning musical instruments, exercise etc. Enter your postcode and select an activity. The Psychological Wellbeing Service gives access to Psychological Therapies services for mild to moderate depression and anxiety disorders. Self-referral available or via GP. Provides hot meals for the elderly, infirm and those who are temporarily unable to prepare meals for themselves. St Matthews St, Cambridge. St Matthew’s Street, Cambridge. Activities, talks, outings for over 65s. Lunches and refreshments Monday, Tuesday, and Thursday. Cambridge and District Citizens Advice Bureau offers free independent and confidential help and advice, Mon to Fri 9.15am to 12.45pm, at 66 Devonshire Road. The City Council’s Visiting Support service (formerly the 65+ scheme) is available for all Cambridge residents aged over 65, and aims to connect older people with services that help you remain independent and socially active, while making sure you have access to the care and support you need. Confidential one to one meetings, telephone support and group support from trained bereavement support volunteers. Mon-Fri 9.30am to 1.30pm. Living Made Easy is a website giving advice and information on providers of independent living equipment, with over 11,000 daily living products from 950 suppliers. Wulfstan Way, Cambridge. Lunches Monday to Sunday 12 to 1pm. Contact in advance for lunch availability. Everyone Health offers an NHS-approved falls assessment and will develop a personalised action plan. Classes such as Tap Dancing for beginners and improvers, and Strength and Balance. Hills Road Sports and Tennis Centre. Services within the home environment from short support visits to comprehensive packages of care. Wide range of services including companionship, home help and personal services. Weekly visit by a volunteer. Fact sheets available also on money, housing, health, personal life, support and care, future planning. A service for those housebound through health problems, or because they have full time (unpaid) caring duties. Monthly visits from a volunteer to bring library books. Telephone: 0345 045 5225 or ask at the library. Telephone helpline for mental distress, 7pm to 11pm every day. Exercise and dance for the over 50s. Queen Edith Chapel. Wide range of services to support those recovering from mental health problems. The FRS provides 24-hour access, seven days a week, 365 days a year, to mental health care, advice and support. Service to help choose the best daily living aids, suggest places to buy them, and let you know where you can try them out locally. Frozen meal delivery once per week. Specialist mental/emotional support, 4.30 to 10.30pm every day. Use of wheelchair or scooter for shopping areas. Suez Road, Cambridge. Activities for older adults. Lunch and refreshments. Monday to Friday. Hills Road. Lunches Fridays 12.30 to 2pm. City Council help towards cost of taxis for those on low incomes. Wesley Methodist Church, Christ’s Pieces. Friday social group for senior citizens. Refreshments 11am, Lunch 12 to 1.45pm. Adult Care and Support Services Guide 2018 is a booklet produced by Cambridgeshire County Council, available in libraries and from the Queen Edith Medical Practice. The National Association of Patient Participation Groups (NAPP) promotes and supports patient participation in primary care.